The Supreme Court bench rejected Adhir Ranjan Chowdhury's plea of staying his eviction from bungalow at New Moti Bagh, New Delhi, saying that he will have to vacate the property forthwith. 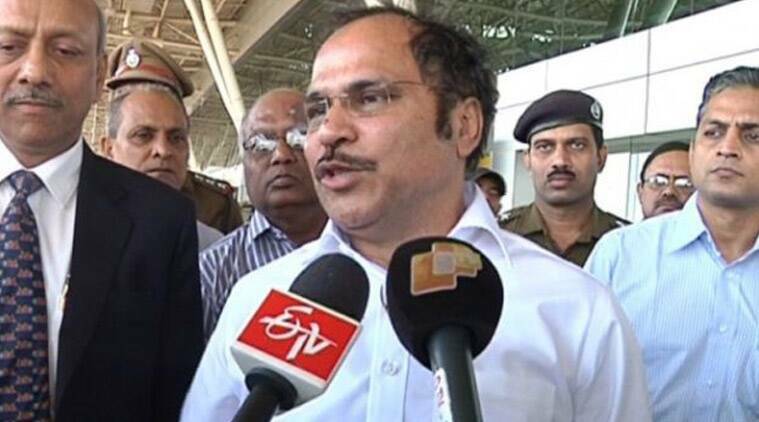 The Supreme Court on Thursday dismissed a plea of Adhir Ranjan Chowdhury, a Congress MP from West Bengal, challenging a Delhi High Court order refusing to stay his eviction from bungalow at New Moti Bagh , New Delhi. In an unusual order, the apex court rejected the plea of Chowdhury when his counsel mentioned the matter for urgent hearing and said that it is not going to list it and rather dismissed it at the threshold. The bench, also comprising justices A K Sikri and R Banumathi, took a strong note of the submission that Chowdhury was earlier never asked to vacate the premises and has been paying the market rent to the government. “Do you mean to say that you will vacate only when they ask you to do so,” the bench said. The high court had on February 3 rejected Chowdhury’s plea, saying he will have to vacate the property forthwith. It had also turned down the MP’s oral prayer for alternative arrangement for the interim period, saying the new residence alloted to him at Humayun Road in Lutyen’s Delhi will take another 10-15 days to get ready for use. The high court had refused to stay Chowdhury’s eviction, while upholding the single-judge bench order of February 1. Chowdhury, a Lok Sabha member, had moved the court against the February 1 order dismissing his plea against the eviction, following which the authorities concerned had disconnected water and power supply to his bungalow at 14, New Moti Bagh here, even as they started eviction proceedings against him. Thereafter, Chowdhury rushed to court, which had earlier directed that status quo be maintained with regard to the eviction till February 3. According to the Directorate of Estates, the MP has been allotted another house on Humayun Road and given sufficient time to vacate the ministerial bungalow which, it said, he was not entitled to. But Chowdhury did not vacate despite several reminders in the past, it had alleged.